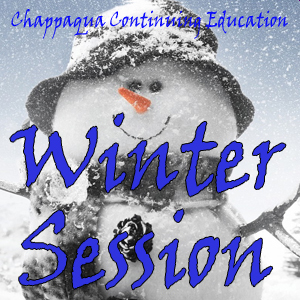 Online registration is now open for the Chappaqua Continuing Education Winter Session. Classes begin January 7th. Register early to ensure your spot as classes do sell out. For more information and to register, please visit www.ccsd.ws/continuinged or call 914-238-7201 x2318.